So basically you’ll embellish your pocket however you’d like. For the strap I just hot glued the ribbon to the back of the pocket. This is a great little craft to make with your daughter. She’ll love it! She used Elmer’s glue instead of a hot glue gun. So cute! 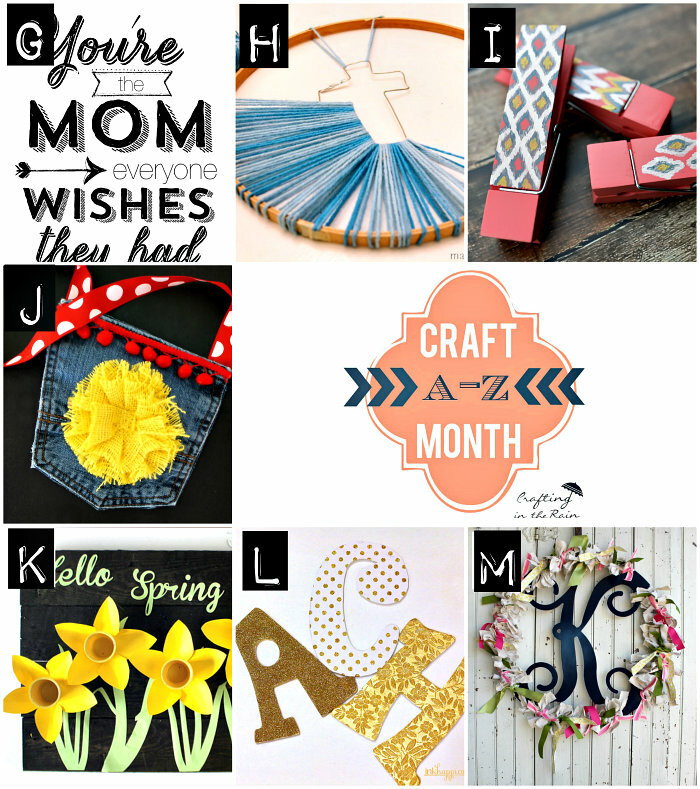 Don’t forget to check out this week’s #CraftAtoZ additions! Don’t miss a post! Subscribe by email or bloglovin’.